This JLL Ventus 1 Air Rower has some great features to help users workout at home. 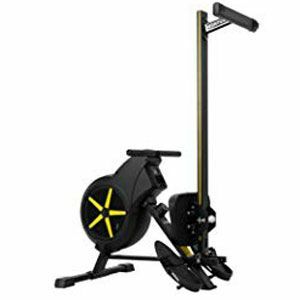 There are many buyers that will appreciate the basic workout offered by this air rower. There is just enough resistance here to push users a little further, while the large air vents keep them cooler for longer. The pace, motion of the seat and general sense of comfort mean that users can keep at it and achieve their goals. 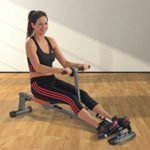 Another key advantage to this JLL rowing machine is the use of the folding frame – which is one of the reasons that it is so slim and attractive compared to other rowers. This product folds neatly so that users can store it away between sessions. All users have to do is remove a pin and lock the frame into its new position. This is a clear advantage for those with minimal space. There are also some positive comments about the build of the frame and components, which offers some hope about the longevity of this system. Unfortunately, there are some flaws in the design of this JLL Folding Rowing Machine that hinder more experienced rowers. 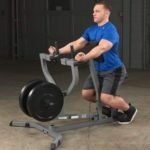 One of the downsides to this rower is the configuration of the seat movement, the sensor for the stroke count and the fluidity of the flywheel. On top models, they will come together for a smooth motion with accurate tallies and a realistic experience. Here there is a stutter in the flywheel that halts that fluidity. Some also say that the sensor for the stroke count is poorly placed and unreliable. Elsewhere, there are those that say that this system is noisier than other rowers they have tried in the past. Is this JLL Ventus 1 still recommendable with all of this in mind? There is the sense here that this product really is designed with less-experienced users in mind. More thought has gone into the design and the folding frame than the smooth, fluid motion that experienced users want from their rower. This isn’t a high-end option that will really test the skill and cardio of users. But, there is potential here for newcomers that want an accessible, easy-to-use system to get them started. The JLL rowing machine is flawed, but it can still help the right user. 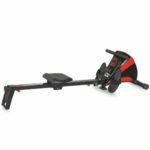 Find more reviews about the JLL Ventus 1 Air Rower on Amazon here.